Onset’s new HOBO® ZW Series wireless data nodes provide centralized wireless monitoring of energy use and environmental conditions in buildings. 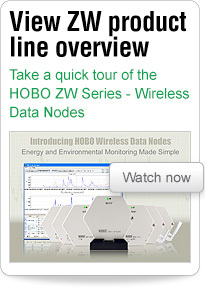 HOBO ZW Series wireless data nodes provide centralized monitoring of energy and environmental conditions in buildings. 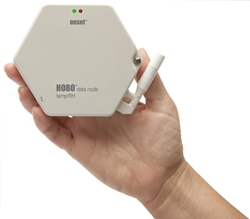 Best suited for on-site facility monitoring applications, HOBO data nodes transmit high accuracy, real-time data from different points in the facility to a central receiver connected to a computer. 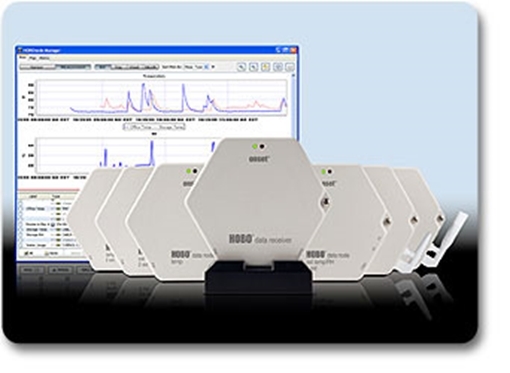 This eliminates the need to manually offload data from individual data loggers, saving you time and money. Accompanying HOBOware Pro software (included) can be configured to automatically send data from the wireless network to others via email or FTP, or save it to a network drive or the connected computer.